Today’s article is on emotional intelligence in the workplace. Emotional intelligence in the workplace can help your business form a deeper bond with employees & customers. Understanding various lifestyles as well as some of the personal issues driving human behavior can help the Executives and employees be happier and more productive. Having a good idea of where your staff and even customers are emotionally and mentally goes a long way toward a bigger mission. We all know that emotions exist in human beings. Many people carry tremendous pain and other mental disorders that they may never reveal outwardly. Emotional Intelligence is the capacity to be aware of, control, and express one’s emotions, and to handle interpersonal relationships judiciously and empathetically. For example, your best salesman suddenly has a drop in sales and seems to be walking a little differently. He has not told you that his father was diagnosed with cancer. Because of stiff company policies, he believes it’s best to not discuss it with you, or anyone. What can you do? In this situation, your employee is having a personal issue that is clearly impacting his performance and thus your bottom line. Your employee may be covering up his emotions so he doesn’t break company rules. However, his emotions are hurting his ability to confidently close sales. He probably is afraid of losing his job on both fronts. As a concerned employer and human being, you could attempt to open a dialog directly with your salesperson. You could take this opportunity to set up a referral program with a mental health provider or perhaps just let your entire staff know that you are there and willing to help when your staff encounters hard personal issues. Often, all that is needed is to reaffirm to your team that you CARE about them as people. No matter how you do it, let your staff know you care. Sometimes the only thing that can make an impact on a person is HEART. Heart being defined as compassion for others. You can’t necessarily solve another person’s problems but you can definitely help, whether as a business owner, supervisor or even a fellow employee. If you can find a way to support them in a time of need and stress, they will remember and respond in kind. Isn’t that what life should be about? Helping each other. 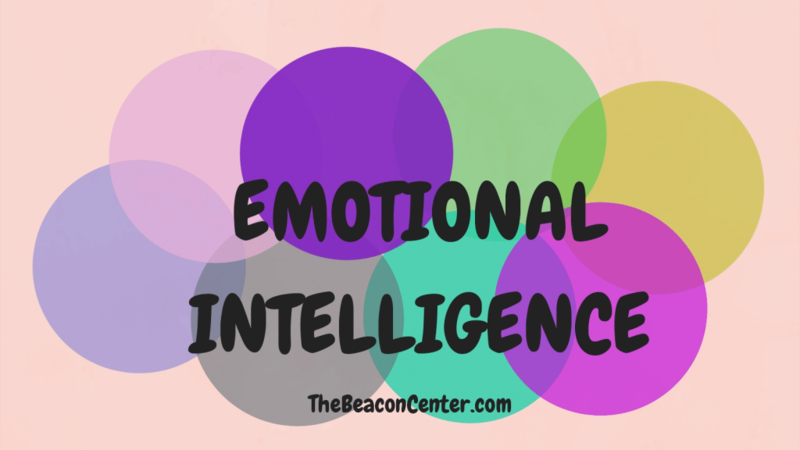 Here at The Beacon Center, we strive to use emotional intelligence when we work with our clients and vendors as well. Tell us some of your experiences.